Many prescription medicines contain drugs derived from natural herbs. Many perfumes and fragrances are made from the oils in herbs. Herbs have been used for at least 5,000 years by all cultures for cooking, medicine, crafts, and cosmetics. Many herbs are easy to grow and they have rich histories and many uses that provide an enticing, multi-sensory theme for learning science concepts and skills, studying other cultures, and connecting topics across the curriculum. ACTIVITIES: WHAT MAKES AN HERB AN HERB? “Herb” refers to any plant or plant part valued for its medicinal, savory, or aromatic qualities. In many cases, oils and the compounds that cause healing are found in herbs. Herbs give us delicious flavors and aromas. Have students taste six edible leaves of basil, rosemary, thyme, oregano, chives, and parsley and describe the tastes of each. GROWING CLASSROOM HERBS – Many herbs can be easily grown from seeds, cuttings, or plants. Seeds – Plant herb seeds in the same soilless potting mix you use for other indoor plants, or plant them in a mixture of 1/3 sand, 1/3 peat moss, and 1/3 soil. Most herb seeds are small, and should be planted no more than 1/4″ deep in moist soil or sprinkled on the top of soil and covered lightly with potting mix. You can have children mix tiny seeds with a small amount of sand to make them easier to sprinkle over the soil. Mist the soil, and cover containers with plastic to keep seeds moist until they germinate. To give herb plants room to grow to maturity, thin seedlings to one per 4″ container or 2 plants per 6″ container. Cuttings – Some herbs are quicker and easier to start from cuttings than from seeds. To take cuttings, snip healthy stems 3-4 inches from the growing tip. Remove leaves from the lower half of the cutting, and plant the cutting in a soilless mix. Water gently and cover the container with a plastic bag until new top growth appears. MOTHERS’ DAY HERB BOOKS – Have students adopt an herb to grow. Students can read seed package directions to see how to plant and care for their herbs, make ongoing observations, and drawings, and research history, folklore, medicinal, and culinary uses. Have students go through recipe books to find recipes with their particular herb. Each student can create a book to include drawings, observations, research reports, and a variety of recipes for his or her herb. There are endless opportunities to tie language arts, math, social studies, science skills, art, and more in with an herb unit. Reflect on some of the varied uses, past and present, for herbs and consider how you might incorporate them into engaging cross-disciplinary activities. Explore the use of herbs in different cultures and cook an international meal. Create a class cookbook of your favorite herb recipes. 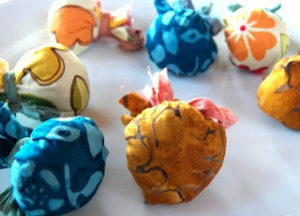 Make aromatic herbal “sachets” or catnip toys from dried herbs in fabric pouches. Research and practice some herbal dyeing in your classroom. Herbs that are good for dyeing include: catnip, marigolds, marjoram, morning glories, parsley, rosemary, sage, and zinnias. Have a “smell test” using aromatic herbs to see if students can identify them. Find out about the culinary, cosmetic, and craft uses of herbs by people in a time period or culture you’re studying. For example: Pilgrims, Pioneer Days, Native American Life, Ancient Greece, the Middle Ages, the Victorian Era, etc. Herbs have been used for thousands of years to perfume our bodies and homes. They’re used to cleanse, protect, and invigorate our skin and hair. Have students survey soaps, shampoo, cosmetics, lotions in stores or in the house to identify herbal ingredients. If the opportunity arises, devise a “fair test” to compare the effects of the juices of the aloe plant on burns to those of a commercially made lotion. Interview a pharmacist to find out which medicines used today are made from plants. The array of healthy herbs and spices that our plant world has to offer us expands our palates and perks up our dinner plates and also perform important restorative functions throughout our bodies to help keep us healthy, vibrant, and disease-free. 1. Each is distinctly potent for healing, and many make excellent additions to your favorite meal dishes. 2. They’re all easy to find and easy on the wallet. 1.Turmeric has profound anti-inflammatory properties. Turmeric’s pain relieving, immune-modulating, heavy metal-detoxifying, and cancer-preventing benefits are pronounced. A relative of ginger, it is among the world’s most therapeutic natural substances. There are at least 580 different ways in which turmeric can help the body, which include its ability to prevent and fight cancer, mitigate radioactive exposure, protect against disease-causing inflammation, and bolster brain health. Turmeric has long held premier status in Indian Ayurvedic medicine for nearly 6,000 years. 3. Rhodiola Rosea, known as “golden root,” has the generalized effect of helping the body to effectively navigate a volatile and stressful world. It can directly combat the damaging effects of environmental pollution inside our bodies and help keep our minds clear and blood pressure levels in check. It helps the body to burn fat while producing more energy, lowers cortisol levels, improves brain function, and fights depression. 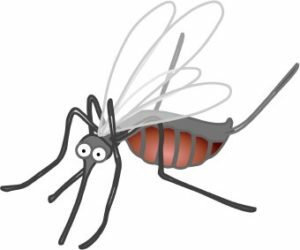 It aids red blood cells in delivering more oxygen to muscles. Studies show that rhodiola invokes an anti-inflammatory response in the body, helping to boost performance and improve muscle recovery. The cortisol-lowering properties of rhodiola help balance thyroid function and optimize hormone production. 4. Ginseng – There are 11 different varieties of this well-known herb. 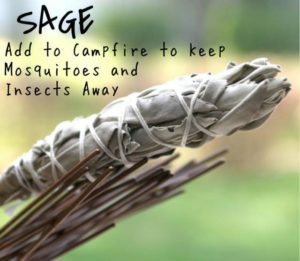 It is one of the most popular native remedies in the world and is used to treat headaches, promote fertility, improve digestion, and boost energy levels, strengthen the immune system, and aid in sexual healing and rejuvenation. Ginseng has an amazing ability to keep disease-causing inflammation at bay. Ginseng is a powerful anti-cancer herb that improvs the function of natural killer cells while minimizing oxidative stress throughout the body. 5. Ginkgo Biloba has a solid track record of therapeutic use that extends thousands of years. Ginkgo biloba exhibits powerful anti-inflammatory, antioxidant, and immune-modulating effects that are well-documented in scientific literature. People use ginkgo regularly to help improve memory, mood, and brain function. Science suggests that this herb can help increase energy and improve focus. Ginkgo stands out from the rest for its ability to prevent, and even reverse, cognitive decline and neurodegeneration, while helping to lift one’s spirits and improve feelings of calm and contentment. Nervous system disorders like fibromyalgia respond positively to ginkgo. #6: Bacopa is another Ayurvedic herb that shows incredible healing benefits for brain health as it relates to concentration and memory. Bacopa has an adaptogenic effect in helping to mitigate stress and stress-related health conditions, emphasized by its ability to modulate the brain’s production of dopamine and other “feel-good” chemicals as needed. It helps relieve anxiety and depression, and studies show it can help ward off degenerative brain conditions like Alzheimer’s disease. #7: Periwinkle has an extensive history of use in Ayurveda. Periwinkle is loaded with vinca alkaloids that are powerfully cytotoxic − meaning they kill cancer cells. In addition to helping lower blood pressure and fighting off pathogens, vinca alkaloids are so effective in healing cancer that they are said to be the second-most-used class of cancer “drugs” in modern medicine. #8: Astragalus contains an array of saponins, flavonoids, polysaccharides, and other unique compounds that boost immunity, protect against heart disease, ward off bacteria and viruses, and improve cellular communication. It has been shown to break down and eliminate tumors and is known for its ability to target the inflammatory responses that, in many cases, cause healthy cells to go rogue and become cancerous in the first place. #9: Holy Basil is often brewed as a tea to help calm the nerves and balance blood sugar levels. It can help to restore proper functionality to both the thyroid and adrenal glands. What makes holy basil special in this regard, along with rhodiola, ginseng, and some of the other adaptogenic herbs is the fact that this herb isn’t a stimulant, yet its stress-relieving properties help normalize adrenal function, which in turn helps boost energy levels, focus, and mental stability. Holy basil helps fight cancer, exhibiting powerful anti-inflammatory and immune-boosting properties that protect nearly every system of the body from breakdown including vital organs and the cellular system. Antioxidant phytonutrients in holy basil help to promote healthy gene expression, as well as inhibit cancer metastasis and tumor growth. They’ve even exhibited a direct effect in destroying cancer cells. #10: Lemon Balm is an herb that hails from the mint family. This healthy herb is one that many people use aromatherapeutically to promote calm, peace of mind, and restful sleep. Lemon balm helps sharpen memory, boost alertness, and improve overall mood and is a powerful antioxidant that prevents cancer-causing free radical damage throughout the body thus helping to prevent the formation of chronic disease. Lemon balm serves as a potent liver tonic aiding in the liver’s production of two of the most important antioxidants that our bodies need for health: glutathione and superoxide dismutase. #11: Rosemary has an intoxicating aroma. Rosemary helps improve cognitive performance and mood, and helps one think better and perform daily tasks more efficiently and effectively. Two key constituents of rosemary, caffeic acid and rosemarinic acid, are potent antioxidant and anti-inflammatory compounds that help protect the body against free radical damage. Rosemary contains a substance known as carnosol that helps rid the body of toxic substances that can lead to the formation of breast cancer. Rosemary possesses generalized anti-tumoral properties that help to prevent cancers of the colon, liver, stomach, skin, and blood. When you fix that healthy salad make add fresh herbs and colorful flowers! gladiolas, hollyhocks,impatiens, lilac, Chive, Red runner bean. The blossoms of chive, garlic, and pea are also edible. blossoms can be dipped in a batter and fried, or stuffed and baked. *Only eat flowers or anything for that matter that you know are safe and free of herbicides and pesticides. Most herbs in the garden have flowers that are beautiful, colorful and edible with a mild taste similar to that of the leaves. 1. Allium blossoms (leeks, chives, garlic, garlic chives) are edible and flavorful! Every part of these plants is edible. 2. Angelica flowers range from pale lavender-blue to deep rose and have a licorice-like flavor. 3. Anise hyssop flowers and leaves have a subtle anise or licorice flavor. 4. Arugula blossoms are small with dark centers and a peppery flavor like the leaves. They range in color from white to yellow with dark purple streaks. 5. Bachelor’s button is grassy in flavor, the petals are edible. Avoid the bitter calyx. 6. Basil blossoms come in a variety of colors, from white to pink to lavender; flavor is similar to the leaves, but milder. 7. Bee balm red flowers have a minty flavor. 8. Borage blossoms are a lovely blue and taste like cucumber! 9. Calendula / marigold golden blossoms are peppery, tangy, and spicy. 10. Carnations / dianthus petals are sweet, once trimmed away from the base. Blossoms taste like their sweet, perfumed aroma. 11. Chamomile’s small and daisylike flowers have a sweet flavor and are often used in tea. Ragweed sufferers may be allergic to chamomile. 12. Chervil has delicate blossoms and flavor, which is anise-tinged. 13. Chicory has a mildly bitter earthiness evident in the petals and buds, which can be pickled. 14. Chrysanthemum is a little bitter, mums come in a rainbow of colors and a flavor range from peppery to pungent. Use only petals. 15. Cilantro – people either love the blossoms or hate them. The flowers share the grassy flavor of the herb. Use fresh as they lose their charm when heated. 16. Citrus (orange, lemon, lime, grapefruit, kumquat) blossoms are sweet and highly scented. Use frugally or they will over-perfume a dish. 17. Clover flowers are sweet with a hint of licorice. 19. Dill – The yellow dill flowers taste much like the herb’s leaves. 20. English daisy – Petals are somewhat bitter — but they look great! 21. Fennel – Yellow fennel flowers have a subtle licorice flavor like the herb itself. 22. Fuchsia – Tangy fuchsia flowers make a beautiful garnish. 23. Gladiolus – Although gladioli are bland, they can be stuffed, or their petals removed for an interesting salad garnish. 24. Hibiscus, famously used in hibiscus tea, the vibrant cranberry flavor is tart and can be used sparingly. 25. Hollyhock – Bland and vegetal in flavor, hollyhock blossoms make a showy, edible garnish. 26. Impatiens flowers don’t have much flavor – best as a garnish or for candying. 27. Jasmine’s super-fragrant blooms are used in tea; you can also use them in sweet dishes, but sparingly. 28. Johnny Jump-Up’s flowers have a subtle mint flavor great for salads, pastas, fruit dishes and drinks. 29. Lavender flowers are sweet, spicy, and perfumed, and are a great addition to savory and sweet dishes. 30. Lemon Verbena – The diminutive off-white blossoms are redolent of lemon — and great for teas and desserts. 31. Lilac blooms are pungent, and the floral citrusy aroma translates to its flavor. 32. Mint – The flowers are — surprise! — minty. Their intensity varies among varieties. 33. Nasturtium is one of the most popular edible flowers. Blossoms are brilliantly colored with a sweet, floral flavor bursting with a spicy pepper finish. When flowers go to seed, the seed pod is a marvel of sweet and spicy. You can stuff flowers, add leaves to salads, pickle buds like capers, and garnish to your heart’s content. 34. Oregano flowers are a pretty, subtle version of the leaf. 35. Pansy petals are nondescript, but if you eat the whole flower you get more taste. 36. Radish flowers vary in color and have a distinctive, peppery bite. 37. Rose petals have a strongly perfumed flavor perfect for floating in drinks or scattering across desserts, and for a variety of jams. All roses are edible, with flavor more pronounced in darker varieties. 39. Sage blossoms have a subtle flavor similar to the leaves. 40. Squash and pumpkin blossoms are wonderful for stuffing, each having a slight squash flavor. Remove stamens before using. 41. Sunflower petals can be eaten, and the bud can be steamed like an artichoke. 42. 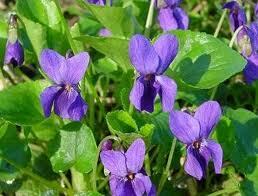 Violets are floral, sweet and beautiful as garnishes. Use the flowers in salads and to garnish desserts and drinks. Tea is simple loose-leaf tea, hot pure water, a cup. 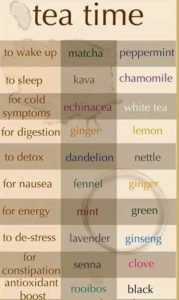 Of all the uses that herbs have the one that more people enjoy is the making and drinking of herbal teas. They were first used as medicines but they are also consumed as beverages. When combining fresh and dry herbs the rule of thumb is 1 part dried equals 3 parts fresh. Use 1 teaspoonful of dried herbs to 3 teaspoons of fresh herbs to one cup boiling water. If using fresh herbs gently bruise the leaves to help release the aromatic oils. Tea is usually steeped for 3 to 5 minutes. Some herbal experts believe the tea can be steeped for a day or two. I steep the tea for a day. If herbs are allowed to steep longer than a day or two they will release tannic acid not good for the stomach lining. If you want your tea to be stronger use more tea not more time. Herbal tea ingredients spice up alcoholic drinks as well. I like to use an infuser. They are usually ball shaped with small holes and open to put herbs inside or you can use a strainer to remove the herbs once the tea is steeped. Avoid tin or aluminum pots. 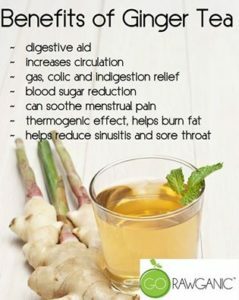 You may try combinations of herbs in making tea and remember though we think of serving most teas hot, they are also delicious cold on a hot summer day!Lemon Balm Tea helps reduce fevers as it induces perspiration. It lessens the effects of exhaustion in hot weather, assists digestion, settles an upset stomach and is an anti-depressant. Basil Leaf Tea is good for the lungs and diseases of the kidneys and bladder. It relieves cramps, vomiting, constipation, and even bad breath. Studies have also shown it can help relieve indigestion. Bay Leaf Tea is excellent for the digestion and is an astringent as well. Bergamot Tea is favored as a remedy for sore throats and chest complaints. Borage Tea is used as a heart tonic, as a stimulant for the adrenal glands and as a purifier to the system. The tea is known for giving a “lift” after a hard day! Caraway Seed Tea has digestive and cleansing properties and is helpful in clearing the complexion. Crush the seeds slightly before pouring on boiling water. Catnip Tea has long been used to alleviate colic in babies. Chamomile Flower Tea is good for menstrual pain and nervous tension and reported to improve ones disposition. The tea taken after a hot bath before going to bed with a few drops of lavender oil will help to induce sound natural sleep. Chive Tea made from chopped fresh chives is said to lower blood pressure, is a source of calcium and helps to strengthen nails and teeth. Comfrey Tea is used to heal injuries and broken bones, hence its common name of “knitbone”. It contains large amounts of calcium and B12. It helps in the formation of strong teeth and bones, helps the circulation and cleanses the bloodstream. Coriander Seed Tea has been used traditionally for purifying the blood thus clearing the complexion. Cress Tea is a blood purifier, is rich in vitamins and minerals, contains sulfur, iron, iodine and phosphorus, and is excellent for clearing the complexion and brightening the eyes. Apart from making one more robust, it is said to help prevent hair from falling out. Combines well with parsley. Dill Seed Tea is good for soothing colic in babies and helps the digestion. Black Elder Tea is made from the flowers is an old remedy for influenza. Fennel Seed Tea is excellent for bathing sore eyes, relieves indigestion and helps to rid the body of uncomfortable gases. Hibiscus sabdariffa Another common type of herbal tea shows promise in regulating blood pressure. In human clinical studies at Tufts, tea brewed from flowers of the tropical roselle plant, Hibiscus sabdariffa, lowered the blood pressure of research subjects. Three cups daily of this hibiscus tea lowered both systolic and diastolic blood pressures over a course of 6 weeks. Lemon Grass Tea is rich in vitamin A and has the effect of clearing the skin and refining its texture. Lime Flower Tea calms the nerves and sooths the mucous linings following a head cold. Lovage Leaf Tea stimulates the digestive organs. A tea made from the seeds is recommended as a gargle for infections of the mouth and throat. Marjoram and Oregano Leaf Tea is helpful at the onset of a fever, relieves colds, cramps, and stomach pains. A strong tea of the leaves, cooled and used as a final rinse will help darken the hair of brunettes. Mint Leaf Tea will disperse congestion in the body and relieve indigestion, bronchitis, and headaches. Nettle Leaf Tea contains vitamin D, iron, and calcium and is used as a spring tonic for the blood. It is taken in case of arterial degeneration, rheumatism, gout, and shortness of breath. The leaves fresh or dried make a delicious nutritious soup. Parsley Leaf Tea is a very nutritious tea containing A, B, C, iron, potassium, silicon, magnesium and other trace elements. 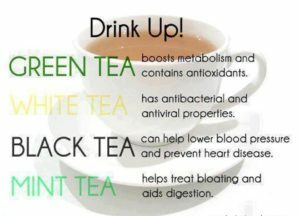 The tea assists the bladder, kidneys, and liver and is excellent for anemia. Raspberry Leaf Tea has the reputation for easing childbirth and the expulsion of the afterbirth, and assisting lactation. It is soothing, tones up the mucous membranes, allays nausea, and encourages good bowel action. Rose Hip Tea is popular as a preventative against colds. It is an excellent source of vitamin C, A, E, and B. Hibiscus flowers are often blended with it for fragrant enjoyment. Rosemary Leaf Tea is recommended for strengthening the memory and relieving headaches. It is a nerve tonic as well. Sage Leaf Tea promotes longevity, strengthens the memory, and restores acuteness to the senses. It has a tonic effect on the liver, brain, and nerves. It is an excellent tea blended with lemon balm. The tea makes a soothing mouth rinse for inflamed gums and helpful as a mouth rinse for sore throats. Savory Leaf Tea is used to treat colic, flatulence and respiratory problems. It is an intestinal antiseptic and said to be an aphrodisiac. Tarragon Leaf Tea helps to rid the body of excess fluids and aids indigestion and flatulence. Thyme Leaf Tea tones up the nervous system and respiratory organs. Valerian Root Tea has remarkable sedative properties, relieves migraine and heart palpitations. It should be taken before going to bed. Some herbalists advise that this tea should not be taken by people suffering from liver complaints as it can cause nausea. 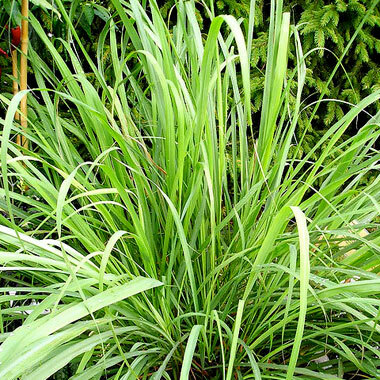 It has the reputation of an unpleasant smell so mix with lemon grass or add honey or fruit juice. in the sun and leave to dry for 2-3 days. You can speed up the process with a food dehydrator. Once dry, steep one tablespoon of yarrow in boiling water for 5-10 minutes. It is recommended not to consume more than 3 cups of yarrow tea in one day. Yarrow Tea dates back to the ancient Greeks. It is mentioned in the story of Achilles in Greek mythology, hence its name Achillea Millefolium. Achilles is said to have used Yarrow to protect himself and his soldiers. Millefolium means “of a thousand leaves.” This refers to the fine, delicate and feathery leaves of the plant. Native American tribes used it for bleeding, and for wounds, and infections. It is used today in Ayurvedic traditions, and traditional Chinese medicine credits the herb with the ability to affect the spleen, liver, kidney, and bladder. Yarrow tea is currently used to help stimulate the appetite, fight fevers and colds, combats gastric and digestion issues, and protects the gallbladder. Grind tea leaves before adding to a recipe. You can use a pepper mill, coffee grinder or spice grinder to do the trick. Adding ground tea leaves to baked goods is an easy place to start. Muffins, cookies, cakes, breads and scones pair with tea flavors well. 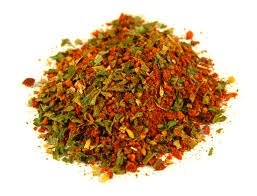 Combine ground tealeaves with fresh herbs or spices to create a tasty rub for beef, pork, poultry, fish, tofu and tempeh. Let the flavors soak overnight for best results. You can combine tea leaves with vinegar- or oil-based marinades. Mix tea leaves with breadcrumbs for a tasty topping added right before cooking. Sprinkle tealeaves into stir-fries while cooking. 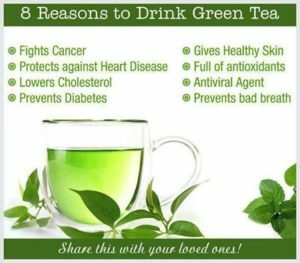 Green tea leaves pair particularly well! Merge your greens: add green tea leaves to leafy greens when cooking. A sprinkling of green tea enhances the fresh earthy flavors of kale, chard, and spinach. Cook rice with tea for added flavor. Jasmine tea creates delicious jasmine rice, which pairs well with many Asian dishes. Add citrus-flavored white teas to poached salmon and other fish for a tender, exotic flavor. Teas are great for poaching fruit: pears, apples, peaches and plums. Add brewed tea to soups and stews. Add brewed tea to gelatin and eat for joint health. Cooking stock or broth? Steep a few bags of mild white tea in your pot before using in the recipe to add a touch of flavor. Steep a tea bag in melted butter for a few minutes. Try sweeter teas for butters bound for baked goods like breakfast muffins. Use bolder teas for butters bound for vegetables and grains. Rooibos tisane (herbal tea), or Red Bush Tea is a dried shrub from South Africa. Pronounced “Roy-Boss”, this herbal tisane is caffeine free and has been used for centuries by the natives of South Africa for a host of ailments. The Tea comes in two versions, green and red. Green is the more natural version, but it is more labor intensive and more expensive and has a more earthy taste then its red counterpart. The red version is produced by laying the green shrubs on the mountainside to “ferment” or oxidize. The sun dries it and changes it to the red color. 8. Research has shown Rooibos to be anti-mutagenic, anti-carcinogenic, anti-inflammatory & anti-viral. The best thing about Rooibos is the taste. It has a slightly sweet, yet earthy taste. This tea combines two common garden herbs that are hard to find at loose herb suppliers. In this nice warming beverage, apple mint helps soothe sore throats and colds. Infuse 1 tsp to 1 tbsp per cup for 15 min. Slice a lemon and place in a glass jar with the ginger slices and cover in honey. Place in refrigerator for a week to marinate. When ready to drink, boil 8 oz of water and add one tablespoon of honey lemon tea mix to the boiling water. Stir and enjoy. The tea’s hot steam and liquid help clear your head, the lemon clears mucus while giving you some vitamin C and the antiviral, antibacterial honey soothes your throat. This mixture will keep in your refrigerator for months. 4. The majority of restaurants use some of the most pesticide ridden tea and brands that have harmful packaging like Celestial Seasonings, Lipton, Bigelow, etc. Don’t fall victim to this. Bring your own tea when eating out or going to restaurants and ask for pot or cup of boiling water. If you drink iced tea, brew your own at home and carry an insulated water bottle with you.